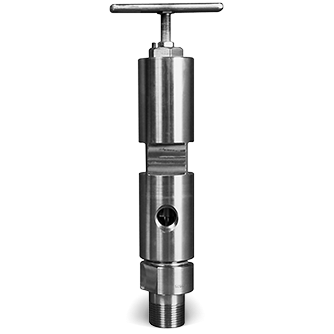 NLB by-pass valves let you adjust the pressure on your pump unit with a simple turn of the T-bar handle… much like opening and closing a faucet. They are hydraulically cushioned for smooth pressure adjustment and field repairable. Models are available to handle all common operating pressures. 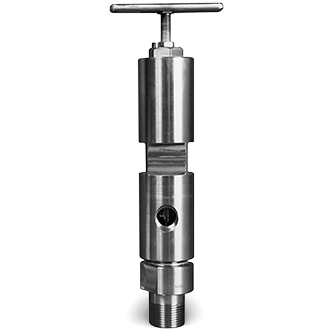 The housing and all major components are precision machined of rugged stainless steel. Air-assisted models (part numbers with an A) are also available. We also offer simple conversion kits that allow older pump units to accept newer by-pass valves.